Directed by Bill Condon. 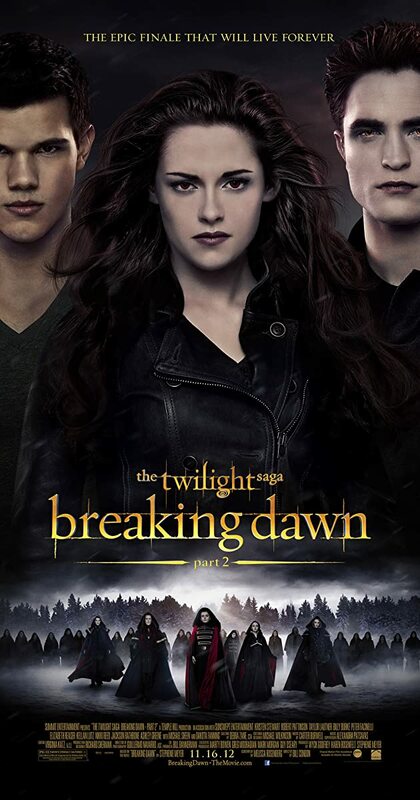 With Kristen Stewart, Robert Pattinson, Taylor Lautner, Peter Facinelli. After the birth of Renesmee/Nessie, the Cullens gather other vampire clans in order to protect the child from a false allegation that puts the family in front of the Volturi.